Table football is fun. 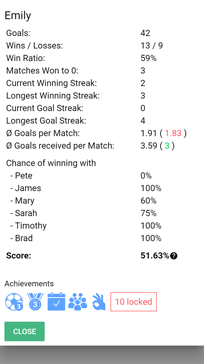 This foosball app ups the ante by tracking matches, keeping a history, collecting achievements, and ranking friends or co-workers. 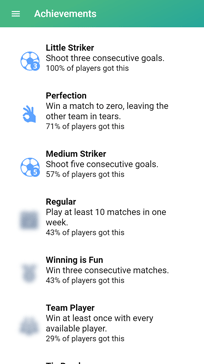 Detailed statistics will be collected for every player and for every team combination that has ever played. Play hard and earn desirable achievements in the process to show off your fame. 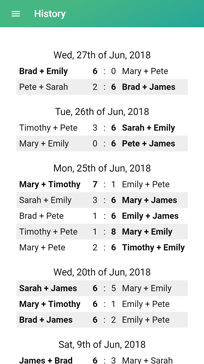 Every match is kept in a history so you can remind your opponents exactly when and how you beat them. Show your opponent how much they should fear you. There are six ranks from noob to master that you can reach. 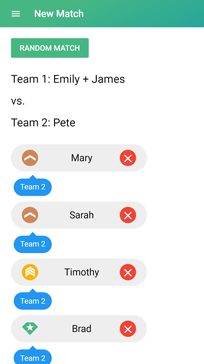 You pick your battle, 1 vs. 1 or team matches 2 vs. 2. Pick your partner or let fate decide. 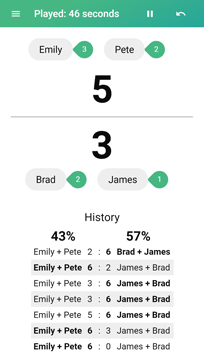 Match results can be pushed to your slack channel to let others know what's what. 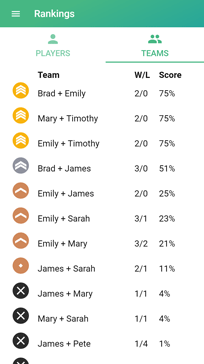 Kicktrack comes with plenty of features that make table soccer matches even more fun. Here's just a few of them. Kicktrack is all about making foosball more fun and not getting in the way. Starting a match takes only a few taps. 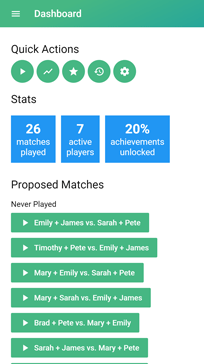 You can create your own matches, let fate decide, or pick one of the suggested match combinations. A player is not in the room for some time? No problem, deactivate him. Matchmaking is too hard? No problem, you can see player ranks to pick fair and exciting matches. Just playing is fun but let's be honest, you want to know who's best. 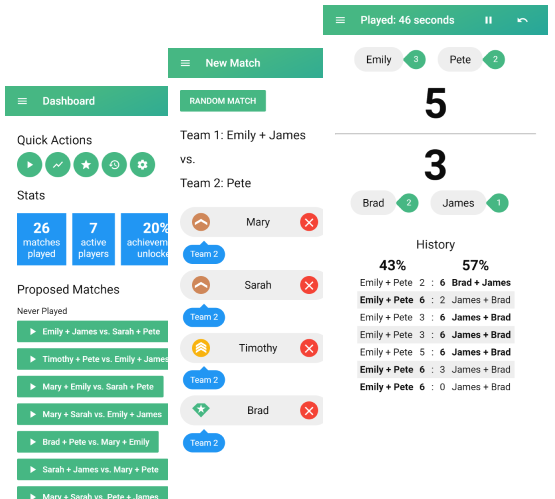 Kicktrack simply tracks everything and compiles detailed statistics for each player. You think you've done it all? Outranked everybody on the scoreboard? But have you collected all the achievements yet? There's always another peak to reach. If you score a goal alone on the table and nobody saw it, did it really happen? 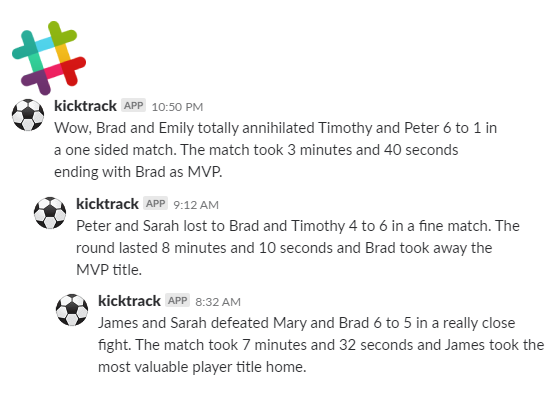 To make sure all your co-players hear about your glorious victory, Kicktrack comes with a slack integration. 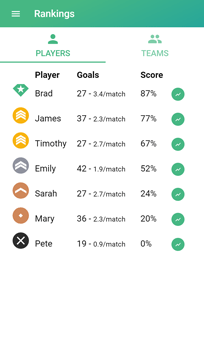 After each match, results are posted to a channel of your choice so others can shiver in fear while learning about your latest match outcome. 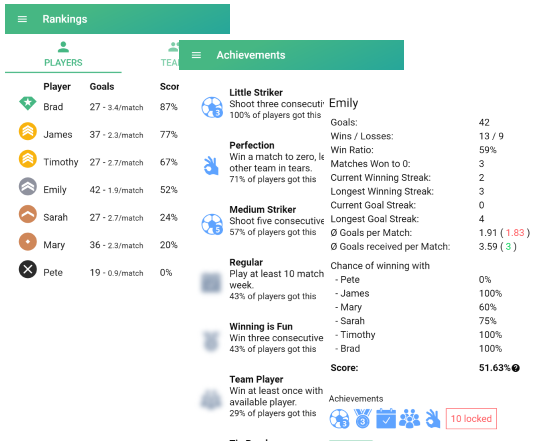 Have a look at what Kicktrack's table football app has to offer. Use the web app right here or download the app for Android or iOS. 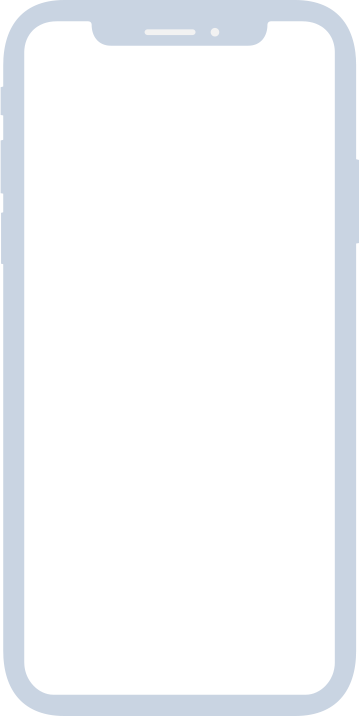 Copyright © Kicktrack All Right Reserved.